The use of estrogen-containing hormonal drugs facilitates excretion of magnesium ions. It is therefore important to characterize women who use hormonal contraceptives, and to test correlation between the use of hormonal contraception -(HC) and the magnesium deficiency (MgD). Objectives. To create a profile of HC-using women who enrolled in the MAGYN study. Materials and Methods. The study included the disease registry (MgD in women with hormone-dependent diseases) and the data on safety and effectiveness of magnesium supplementation with a combination of magnesium citrate and pyridoxine. The standard questionnaire and biochemical determination of serum magnesium were used to diagnose MgD. The severity of MgD symptoms was evaluated using a 10-point visual analogue scale; the quality of life was assessed using the WHOQOL-BREF questionnaire after four weeks of therapy. Conclusion. The present study demonstrates high prevalence of MgD in women using hormonal contraception. Correcting MgD significantly improves the women’s health and their quality of life. Since the nutrition profile, behavior patterns, quality of life and social preferences of women may depend on urban population size, larger studies are warranted in cities with a population of >250 thousand to obtain the data relevant to the entire country. Magnesium deficiency, contraception, combined oral contraceptives, COCs. 1. Makatsariya A.D., Dzhobava E.M., Bitsadze V.O, Gromova O.A., Blinov D.V. Magnesium Research. 2016; 29 (3): 82. DOI:10.1684/mrh.2016.0399. 3. Serov V.N., Blinov D.V., Zimovina U.V., Dzhobava E.M. Akusherstvo i ginekologiya. 2014; 6: 33-40. 4. Serov V.N., Baranov I.I., Blinov D.V., Zimovina U.V., Sandakova E.A., Ushakova T.I. Akusherstvo i ginekologiya. 2015; 6: 91-97. 5. Blinov D.V., Zimovina U.V., Sandakova E.A., Ushakova T.I. FARMAKOEKONOMIKA. Sovremennaya farmakoekonomika i farmakoepidemiologiya / PHARMACOECONOMICS. Modern pharmacoeconomics and pharmacoepidemiology. 2015; 2: 16-24. 7. 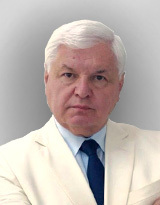 Petrov V.I., Shishimorov I.N., Magnitskaya O.V., Ponomareva Yu.V. FARMAKOEKONOMIKA. Sovremennaya farmakoekonomika i farmakoepidemiologiya / PHARMACOECONOMICS. Modern pharmacoeconomics and pharmacoepidemiology. 2014;7(1):22-26. 8. Gromova O.A., Torshin I.Yu., Rudakov K.V., Grustlivaya U.E., Kalacheva A.G., Yudina N.V., Egorova E.Yu., Limanova O.A., Fedotova L.E., Gracheva O.N., Nikiforova N.V., Satarina T.E., Gogoleva I.V., Grishina T.R., Kuramshina D.B., Novikova L.B., Lisitsyna E.Yu., Kerimkulova N.V., Vladimirova I.S., Chekmareva M. N., Lyalyakina E.V., Shalaeva L.A.,Taleporovskaya S.Yu., Siling T.B., Semenov V.A., Semenova O.V., Nazarova N.A., Galustyan A.N., Sardaryan I.S. Farmateka. 2013; 6: 115-129. 9. Dizhevskaya E.V. Akusherstvo, ginekologiya i reproduktsiya / Obstetrics, gynecology and reproduction. 2015; 9 (3): 68-85. DOI:10.17749/2070-4968.2015.9.3.068-084. 10. Spiridonova N.V., Basina E.I., Krylova O.V. Akusherstvo, ginekologiya i reproduktsiya / Obstetrics, gynecology and reproduction. 2012; 3: 49-55. 11. Dadak K. Akusherstvo, ginekologiya i reproduktsiya / Obstetrics, gynecology and reproduction. 2013; 7 (2): 6-14. 12. Dadak K., Makatsariya A.D., Blinov D.V., Zimovina U.V. Akusherstvo, ginekologiya i reproduktsiya / Obstetrics, gynecology and reproduction. 2014; 8 (2): 69-78. 13. Gromova O.A., Limanova O.A., Torshin I.Yu. Akusherstvo, ginekologiya i reproduktsiya / Obstetrics, gynecology and reproduction. 2013; 3: 35-50. 14. Slagle P. Magnificent Magnesium. The Way Up Newsletter. Vol. 30, 08-15-01. 15. Dikke G.B., Erofeeva L.V. Akusherstvo i Ginekologiya. 2013; 12: 95-100. 16. Bitzer J. et al. The CHOICE study: effect of counselling on the selection of combined hormonal contraceptive methods in 11 countries. The European journal of contraception & reproductive health care. 2012; 17 (1): 65-78. 17. Bitzer J. et al. Factors influencing women's selection of combined hormonal contraceptive methods after counselling in 11 countries: Results from a subanalysis of the CHOICE study. The European Journal of Contraception & Reproductive Health Care. 2013; 18 (5): 372-380. 18. Prilepskaya V.N., Nazarova N.M., Tarasova M.A., Letunovskaya A.B. Ginekologiya. 2010; 4: 26-8. 19. Guzeva V.I, Guzeva V.V., Guzeva O.V. Epilepsiya i paroksizmal'nye sostoyaniya / Epilepsy and paroxysmal conditions. 2014; 4: 83-84. 20. Dadak K., Kolbl Kh. Akusherstvo, ginekologiya i reproduktsiya / Obstetrics, gynecology and reproduction. 2014; 4: 48-50. 21. Higdon J. An Evidence-Based Approach to Vitamins and minerals. New York- Stuttgart. 2005. 22. Unanyan A.L., Alimov V.A., Arakelov S.E., Afanas'ev M.S., Baburin D.V., Blinov D.V., Guriev T.D., Zimovina U.V., Kadyrova A.E., Kossovich Yu.M., Polonskaya L.S. FARMAKOEKONOMIKA. Sovremennaya farmakoekonomika i farmakoepidemiologiya / PHARMACOECONOMICS. Modern pharmacoeconomics and pharmacoepidemiology. 2014; 3: 44-50. 23. Dizhevskaya E.V. Akusherstvo, ginekologiya i reproduktsiya / Obstetrics, gynecology and reproduction. 2015; 3: 68-85.